These are so addictive they should be called CRACK Crackers! 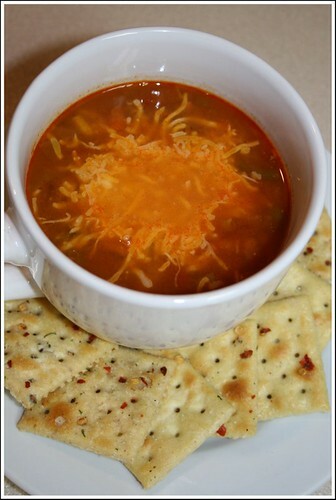 They are wonderful served with cream cheese and pepper jelly, or with soup or chili. They are so good and flavorful that they make a great snack that can be eaten alone. Combine all dry ingredients in a bowl with oil and whisk together. Put crackers in a 2 gallon resealable bag. 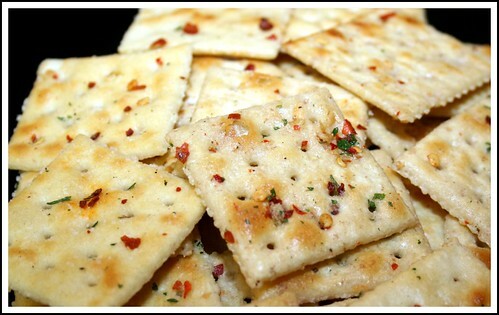 Drizzle oil & seasoning mixture over the crackers. Seal bag. Gently toss crackers so that they become coated with mixture. Lay bag flat and let it sit for 10 minutes. Then toss crackers around some more and lay the bag on the opposite side for another 10 minutes. Remove crackers from bag and place in an airtight container such as a large glass or plastic canister with a tight-fitting lid. No baking necessary! I thought the same thing but if you remove them from the marinade after the specified time they are not soggy. It's amazing! Enjoy!